Going to a museum is one of my favorite date activities. We can see and experience something new together, take our time, talk or just look, hold hands or kiss in front of something extraordinary. I love going to a museum with someone I love. I recently visited the ICA on a double date. 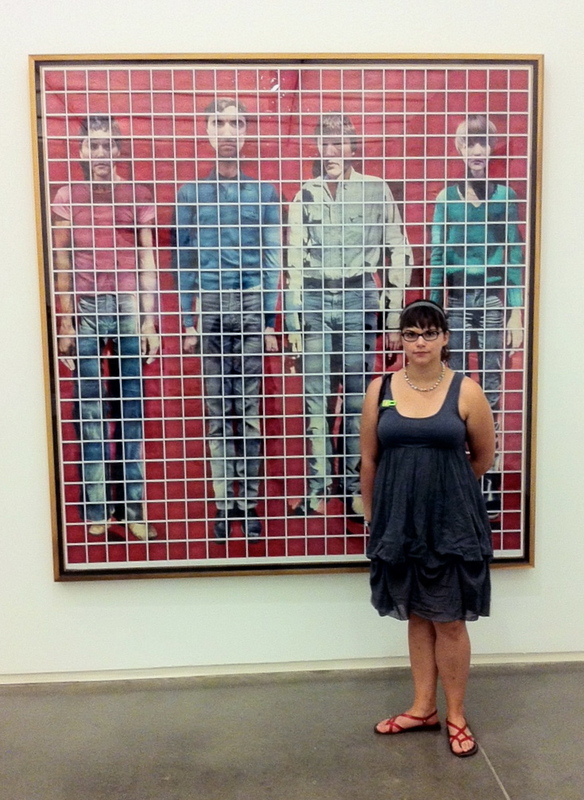 The four of us went to see "This Will Have Been: Art, Love & Politics in the 1980s". Many artists were represented, with a variety of paintings, photography, sculpture, ads, and textiles. It was reassuring to see so many people in the galleries, taking the time to admire and appreciate the contemporary artwork. My favorite piece in the show, to no surprise, was a Basquiat painting. Ever since senior year of high school I have been crushing admiring obsessing in love with Basquiat. I felt like I was seeing an old friend and I couldn't stop smiling. Joe secretly took a photo of me in front of the masterpiece, while I pretended not to pose. The last time we were on a date at the ICA it was my 24th birthday. We went to see "The Record: Contemporary Art and Vinyl". We held headphones to our ears and talked about our favorite songs. We watched the other visitors, families, students, and other couples on other dates. I found my favorite piece. We snagged a photo infront of an original Talking Heads album, collaged out of polaroids. At the time, these photos were taken as proof that we were there and as a way to remember impressive works of art. They have become more like reminders of a happy goose bump moment and a loving date day with my photographer. These two photos have become precious to me.